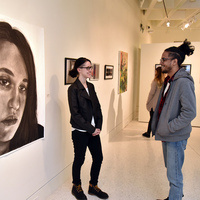 The 56th annual exhibition features top selected student work. Free; parking for those without a campus parking sticker is $1 -- see oswego.edu/parking. For more information: 315-312-2112 or michael.flanagan@oswego.edu.